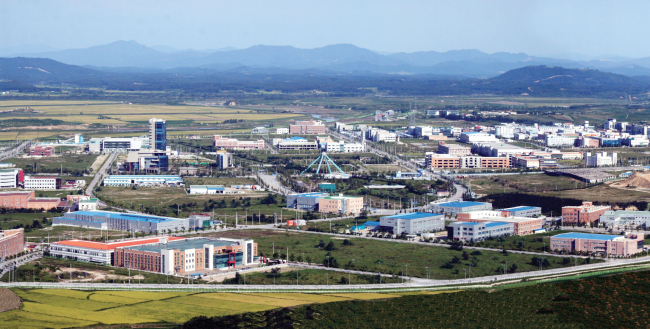 North Korea officials have pulled out from the joint liaison office with South Korea, which opened in the North’s border town of Kaesong in September 2018. The order for withdrawal came from superior authorities in the North, according to the Seoul’s Ministry of Unification on Friday. The ministry said South Korean officials will continue to work at the office as the North said it does not care whether they remain or withdraw from the place. The government regrets Pyongyang’s decision to withdraw and hopes it will return to the liaison office to normalize the operations, the Unification Ministry said. The weekly liaison meeting between South Korean Vice Unification Minister Chun Hae-sung and his counterpart Jon Jong-su had not been held since the breakdown of the summit between Washington and Pyongyang in February. Chun, who briefed reporters about the matter, declined to link the pullout to the collapse of the summit. In an inter-Korean summit at Panmunjeom in April last year, President Moon Jae-in and North Korean leader Kim Jong-un agreed to establish the joint office with resident representatives of both sides in order to facilitate close consultation between the authorities as well as smooth exchange and cooperation between the people. Asked if the government views the North’s withdrawal as an abrogation of the agreement, Chun said the ministry is taking a wait-and-see approach before judging the situation in haste. “We don’t think the deal is broken,” he said. Other communication channels, including those between the military, are operating normally, he added.